The Volkswagen Tiguan had its best month ever in Canada in August, propelling it to 22nd place on our Best-Selling SUVs countdown. 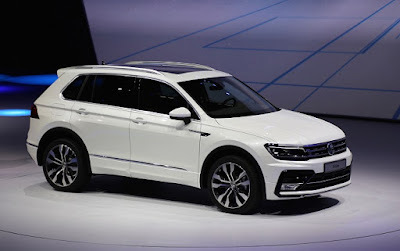 The Atlas, a new addition to VW’s SUV offering, also did well last month, which bodes well as its more angular styling points in the direction VW are headed with the 2018 model-year Tiguan, as well as the compact T-Roc concept that was recently shown to the public. The Chevrolet Equinox is saw a fall compared with earlier months in the year, but continues to post year-on-year growth compared with its performance in late summer 2016 after the new model hit Canadian showrooms in June. No change at the top of the table this month, with the RAV4 and CR-V retaining first and second spot respectively. The CR-V posted a drop year-on-year for the second month in a row in July, but remains comfortably ahead of last year in YTD terms. Reminder: these are 2017 year-to-date rankings, but you can sort vehicles by June 2017 volume by clicking the February 2017 column header, or you can rank vehicles by improvements or declines using the % columns. Or, most importantly, you can list automakers together by selecting the SUV/Crossover column header. At any time, click the Rank column to return to the original format. If you’re on a mobile device, you may need to choose the full version of the site (at the bottom of the page) in order to use the sortable function.